Which metrics should I watch? What do these measurements mean? 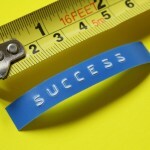 What are the indicators of great performance? Or, poor performance in my digital advertising programs? Here’s an insider’s look … if you’re watching these metrics, there are likely some serious wins for your dealership hidden in the data! Are you a straight A student? 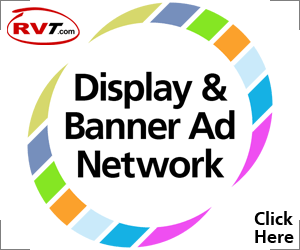 Or … do you have a few “fails” in your digital advertising? 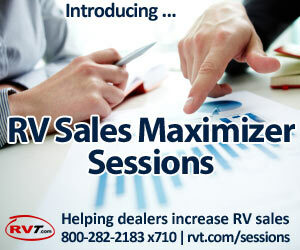 To find out how your dealership’s doing, simply log into your RVT.com account. Then, from the Dashboard, click Ad Quality on the left. 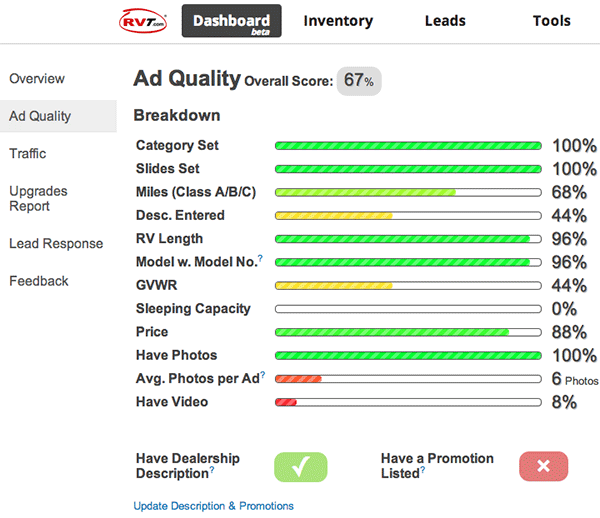 Your Ad Quality chart shows how “clean” your inventory data is. What’s your Overall Score? Clean data matters. And, it’s up to you to “feed” the correct data into your Inventory Management system and Website and subsequently into your 3rd Party lead generation sites as well. 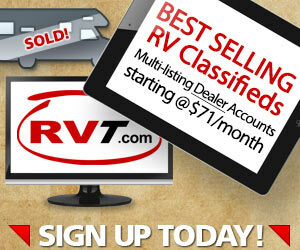 Online RV shoppers need info. Clean, complete info. 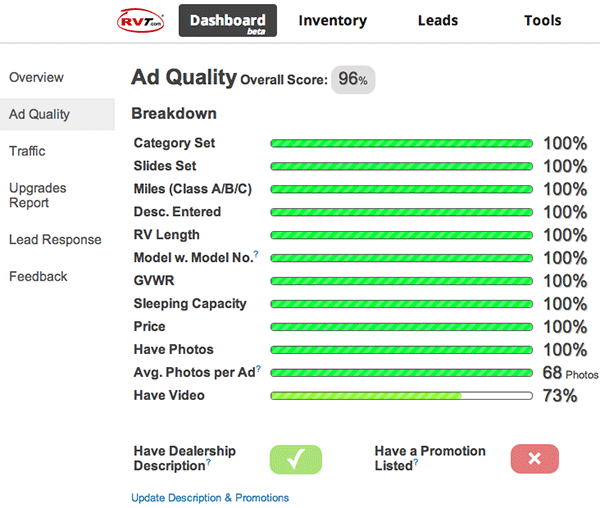 Here’s a dealer with a 67% Overall Score on Ad Quality. Let’s look at their metrics and learn. As you see above, the RV’s Category and the number of Slides each unit has are both being provided 100% of the time. Over 50% of their listings have no descriptions! 1/3 of their motorized units have no mileage indicated. Mileage is one of the biggest questions buyers usually want to know about motorized units. Watch this stat, for sure! Sleeping Capacity – No data available. Some shoppers actually search based on the number of people a unit will sleep. NOTE: If you do not supply Sleeping Capacity data, your unit WILL NOT come up in that consumer’s search. Consumer search and Search Engines really are all about clean, complete data. Average # of Photos per Ad: 6. This is cause for grave concern by this dealer. Very few buyers will call you when they can only see 6 photos of a unit. This dealer is doing better than most on this ad quality measurement because they have at least some video. 8% shows us they are “working on it.” Good. Remember, listings with video are proven to generate 46% more leads, than listings with no video, so, dealers with low scores in this metric could definitely be selling more RVs simply by adding more video to more of their listings. What will be the first ad quality measurement your dealership improves so you too can move in this direction? Very informative for those who need convincing that the more information you provide the customer, the better.